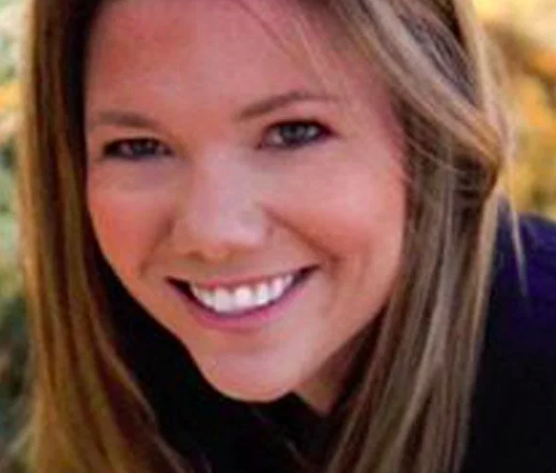 Colorado mom and flight instructor Kelsey Berreth, 29, went missing late last year, according to authorities. She was last seen with her daughter on Thanksgiving Day, November 22nd, 2018. Three days later, her cellphone signal was then detected in Idaho. Law enforcement officials now believe Krystal Lee, a nurse from Twin Falls, Idaho, may have been trying to dispose of Berreth’s phone as a way of destroying evidence. Lee is facing one count of tampering with physical evidence, according to the local district attorney’s office. The charge is a class 6 felony punishable by up to 18 months in prison. Lee is expected to plead guilty in court on Friday. Kelsey Berreth was engaged to Patrick Frazee at the time of her disappearance late last year. She was last seen on Thanksgiving Day shopping at a supermarket in Woodland Park, Colorado with her 1-year-old daughter, Kaylee. According to Frazee, Berreth dropped their daughter off at his home later that day. The couple was living apart at the time of Berreth’s disappearance. While Berreth has not been found, authorities believe Frazee murdered her in his townhome and was the last person to see her alive. After searching his property, authorities arrested Patrick Frazee in December of last year. He is being charged with Berreth’s murder and three counts of solicitation to commit murder. He is due back in court on February 19th. Three days after Berreth was last seen, authorities traced her cellphone signal to Gooding, Idaho, which is nearly 40 miles north of Twin Falls. While Krystal Lee’s relationship to Patrick Frazee remains unclear, authorities now believe she was trying to dispose of Berreth’s cellphone. Two of Lee’s family members report that she tried to dispose of the evidence because Frazee threatened her life. Lee had been employed as a nurse at St. Luke’s Magic Valley Medical Center in Twin Falls, Idaho, but sources confirm that she no longer works there. Hospital officials report that she was on a leave of absence at the time she allegedly committed the felony. Lee is now expected to enter a plea deal with prosecutors and plead guilty to one count of tampering with physical evidence. She is expected to appear in court in Friday in Colorado. It’s possible that Lee and Frazee were having a relationship at the time of Berreth’s disappearance, but these details have yet to be confirmed. Berreth’s body has yet to be found, but authorities no longer believe that she is alive. Without a body, prosecutors will have trouble coming up with a cause of death, which may limit their ability to convince members of the jury that Frazee is responsible for Berreth’s murder. At this time, Frazee has not entered a plea deal and is being held without bond. If Lee agrees to cooperate with prosecutors, she may be able to give them more information about her relationship to Frazee, what his motives were and why she tried to dispose of Berreth’s cellphone in the first place. Meanwhile, a judge has granted temporary custody of Berreth’s 1-year-old daughter Kaylee to Berreth’s parents, Cheryl and Darrell Berreth. The Berreths have also filed a wrongful death lawsuit against Frazee. We should learn more about what happened to Berreth in the coming weeks as the case makes its way through the Colorado legal system. Hopefully, prosecutors can bring the guilty party to justice.